I've just got a new PC and have setup Laragon from scratch with the latest version 3.3. I am using auto virtual hosts and attempting to use SSL: it is Enabled in Menu > Apache > SSL. Although sites-enabled are populated apparently correctly for all my domains, they all refer to C:/laragon/etc/ssl/laragon.crt. This does not exist however, hence Apache does not start. 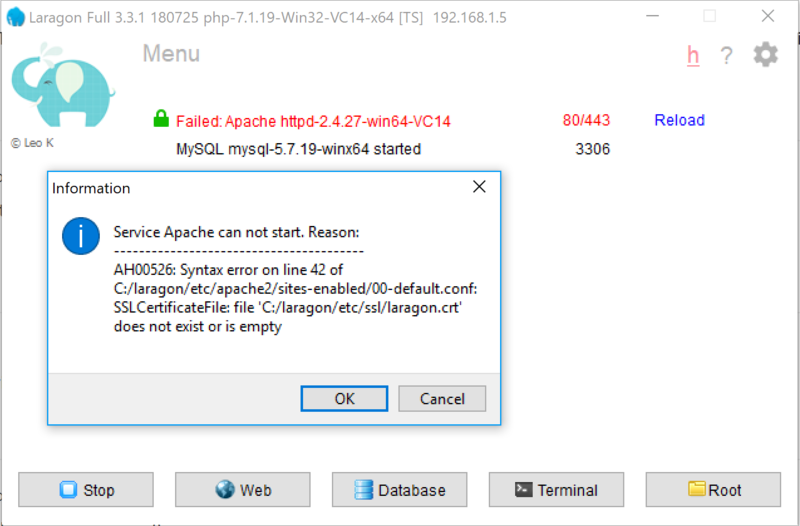 I have tried the option to Add laragon.crt to Trust Store, but it does not show in Certificate Manager. How can I get SSL certificate(s) to auto-generate properly? @mikeprince : Laragon should auto create the file C:/laragon/etc/ssl/laragon.crt for you. What are in your C:/laragon/etc/ssl folder? 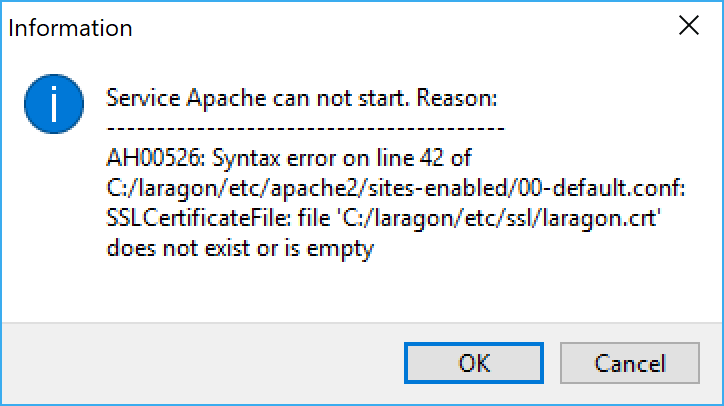 I did a reinstall of Laragon, and also ran it as administrator, but still no luck. @mikeprince : Your case is so strange. I tested many times with some different computers and saw no issue. I created a certificate manually using https://github.com/bantya/MakeCert, with some modifications to allow it to create laragon.crt as it otherwise will only create based on a tld, e.g. laragon.local.crt. Apache then loads ok. However I'm still stuck in Chrome with ERR_CERT_COMMON_NAME_INVALID "This server could not prove that it is domain.local; its security certificate is from *.local.". Not sure if I've created the certificate incorrectly? I removed my manually created certificate and tried with the new laragon.exe, but with exactly the same problems. @mikeprince : Any error message? Can you provide me some images? Also, what is in the laragon.log (Menu > Laragon > laragon.log)? There is nothing in the log: I just get the message "Cool! 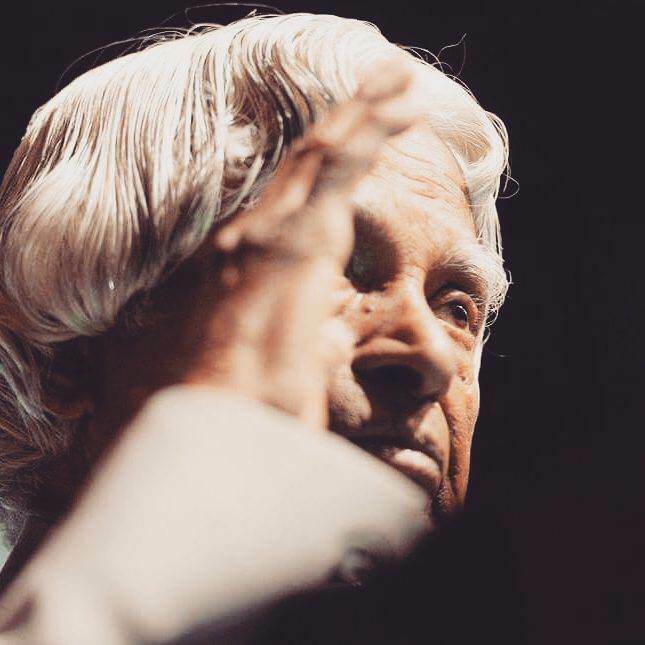 There is no log." Exactly the same happens if I run Laragon with administrator privileges. @mikeprince : Strange! There should be some log messages. Do you have TeamViewer? Yes I do have TeamViewer. Let me know what you need. Go to Bangkok for vacation. @bantya See you in Thailand! The problem was in the auto.openssl.conf file which Laragon creates. I had a directory in my document root with an invalid character in its name, which got carried through into the DNS entries in this file, and clearly this could not be processed. I've renamed that directory and all is ok now. Yes it did: once I'd renamed my folder that was causing the problem each time. 🤔 I learnt something new today. I have this exact same problem. The only different is I don't see an "auto.openssl.conf" in my /etc/ssl folder. The only thing in that folder is "cacert.perm"
@brian2one0 : What's your Laragon's version?